The Harambee Stars will be playing Ghana in their final AFCON qualifier in March and we’re giving you the chance to Fly Your Flag high and watch them live as they take on the Black Stars. To earn an entry into the grand prize draw, simply place a bet on any soccer event of your choice during the month of February and this could see you and your partner flying to Ghana to watch your national team play. Enter the Fly Your Flag promotion from 1 to 28 February, 2019 for a chance to win the grand prize and other awesome weekly giveaways such as cash and Free Bet prizes, smartphones, hampers and much more. Place a bet on any soccer event throughout the month of February to qualify for the Fly Your Flag promotion. Each bet will enter you into the weekly and grand prize draw. The Fly Your Flag promotion will be awarding one lucky winner with a trip for two to witness the Harambee Stars play live against Ghana. 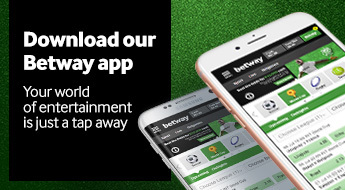 Betway will be giving away incredible prizes weekly such as cash and Free Bet prizes, smartphones, watches, hampers and much more. All you need to do is place a bet on any soccer event throughout the month of February, each bet will earn you a ticket into the weekly and grand prize draw. The more you bet, the better your chances of winning our weekly prizes and a once in a lifetime experience, watching your national team play live. One winner will win a trip for two to Ghana to watch Harambee Stars play against the Black Stars. Place at least one bet on any soccer event from 1 to 28 February to earn a ticket into the weekly and grand prize draw. Add Man City v Arsenal to your 5+ Multi Bet and your betslip will be entered into the weekly draw to win a watch, phone or TV. Place a Clean Sheet bet on Man City v Chelsea to go into a lucky draw where 10 winners will receive KSh 1,000 in cash. Place a First Team to Score bet on any UCL or Europa fixture and your betslip will go into a lucky draw to win 1 of 20 KSh 500 Free Bets. Place an Anytime Goalscorer bet on any UCL or Europa fixture and you will go into a lucky draw to win a smartphone. Place a Match Result bet on Man United v Liverpool and your betslip will go into a lucky draw to win 1 of 5 Betway hamper bags. Place a Both Teams to Score bet on Sevilla v Barcelona and your betslip will go into a lucky draw to win 1 of 10 KSh 500 Free Bets. Place a Double Chance bet on Chelsea v Tottenham and if you lose, you will receive 15% of your stake back, up to KSh 500 as a Free Bet. All persons (“Participants”) entering the Betway “Fly Your Flag” promotion (“Promotion”) agree that the Promotion rules, as set out in these Terms and Conditions (“Terms and Conditions”), shall apply and are binding on them. Betway is referred to as the “Promoters” in respect of the Promotion for the purposes of these Terms and Conditions. This Promotion commences on 1 February, 2019 and shall run until midnight on 28 February, 2019 (“Campaign Period”), subject always to any early termination or extension thereof by the Promoters as stipulated in these Terms and Conditions. Each week one person from our lucky draw will win one of the weekly prizes mentioned above. The winners will be selected by random draw and notified by SMS confirming that they have won a reward. The winners will be contacted within 72 hours to arrange delivery of the prize where applicable. If the winner cannot be contacted during this period, the prize will be deemed to have been forfeited by him/her. 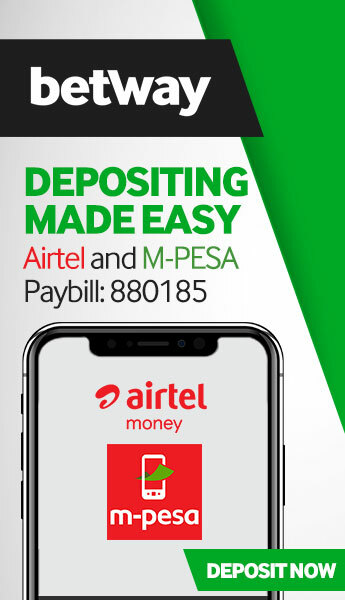 The promotion is only open to persons who are natural persons, 18 years or older, and either Kenyan citizens or permanently resident in Kenya. Any physical prizes awarded are not transferable and cannot be exchanged for cash. The award of the Grand Prize is dependent on the winner and his/her travel companion successfully obtaining visas for travel to Ghana or proving that they have legal dual citizenship with the corresponding passport allowing travel to Ghana. The Promoter will pay the application costs of the visa and provide confirmation that the applicants have won the Grand Prize and the relevant details of travel and accommodation for submission to Ghana’s Embassy/Consulate. In every other respect, it is the sole responsibility of the winner and his/her companion to do all things necessary and as required by the relevant authorities to apply for and obtain such visas. Visa arrangements are to be made and paid for by the prize winner and their chosen companion. As Promoter, Betway will pay for all related visa costs on presentation of valid receipts. Should it be required, transportation to the arranged departure city will also be arranged by the Promoter. Should the prize winner or their chosen companion exhaust all options and still fail to acquire a valid visa for travel to Ghana, the winner will forfeit the prize and no cash can be redeemed in place of the prize. This will only be possible with an official notification from the Ghanaian Embassy/Consulate showing that the visa has been declined. The winners’ chosen companion does not qualify for any cash reimbursement. Should the winners’ companion not qualify for a visa/passport for any reason and there is not sufficient time for another person to be correctly vetted, the winner will have the option to travel by himself or herself to Ghana but will not receive cash in place of their partner. This amount will be converted into local currency using the foreign exchange rate at the date and time of receipt of notification from the Ghanaian Embassy/Consulate concerning the declining of the aforementioned visas. If, for any reason, the prize winner is unable to make the trip to Ghana, he/she will forfeit the prize and cannot redeem or exchange the prize for cash As a result, a new winner will be selected as a replacement. Should the Ghanaian Embassy/Consulate reject your application for a visa, an amount of KSh 10,000 will be presented to the winner in place of the trip. Before these funds are presented to the winner, proof from the Embassy/Consulate that the application was rejected will be required. The Grand Prize will only be handed over in person to the verified winner. The winner must arrange their own transportation, at their own cost, to attend the handover of the Grand Prize and to apply for their visas where travel is necessary for this. The Promoter is in no way responsible for the winner’s travel costs in respect of these activities. The Promoter is in no way responsible for any risks or damages that may be incurred by the winners during their trip in respect of the Grand Prize and their activities associated therewith. The Promoter reserves the right to request winners to provide proof of identity and proof of residence at the nominated prize delivery address. Proof of identification, residency and entry considered suitable for verification is at the discretion of the Promoter. In the event that a winner cannot provide suitable proof, the winner will forfeit the prize in whole and no substitute will be offered. To participate in this promotion, entrants must place at least one bet on any soccer event from 1 to 28 February to qualify. Each bet will earn entrants one ticket into the weekly and grand prize draw. The more the entrants bet, the more tickets they will have in both draws. Decision on payout increases and lucky draw winners are final, and no correspondence will be entered into. Should a customer be found not to have complied with these Terms and Conditions, he/she will automatically be disqualified and any payout increases will be forfeited. By entering this promotion you authorise the Promoters, to collect, store and use (not share) personal information of entrants for communication or statistical purposes. All Participants participate entirely at their own risk. By reading and accepting these Terms and Conditions, the Participant gives consent to these risks and hereby indemnifies and holds harmless the Promoters, their directors, employees and agents of any and all liability pertaining to any damage, cost, injuries, and losses of whatever nature sustained as a result of their participation in the Promotion and related events and activities, save where such damage, cost, injuries or losses are sustained as a result of gross negligence or willful misconduct of any of the Promoters. The Promoters, their directors, employees, agents and distributors accept no responsibility and they will not, in any circumstances, be liable to compensate the Participant, or accept any liability for: (a) any inability by the Participant to use the Reward in part or at all; (b) the lack of quality or any other aspect of any service which is or should be provided at any venue(s) in relation to the Reward; or (c) any personal loss or injury occurring at any venue(s) arising, directly or indirectly, out of the use of the Reward. The Promoters reserve the right to terminate or extend the Promotion at any time. In the event of such termination or extension, all Participants agree to waive (give up) any rights that they may have in terms of the Promotion and acknowledge that they will have no recourse against the Promoters, its advertising agencies, advisors, suppliers and nominated agents.